It’s still working fine with my 2014 iMac running MacOS 10.14, but since the software hasn’t been updated for half a decade, it’s 32-bit only and doomed to stop working later this year when 10.15 shows up. 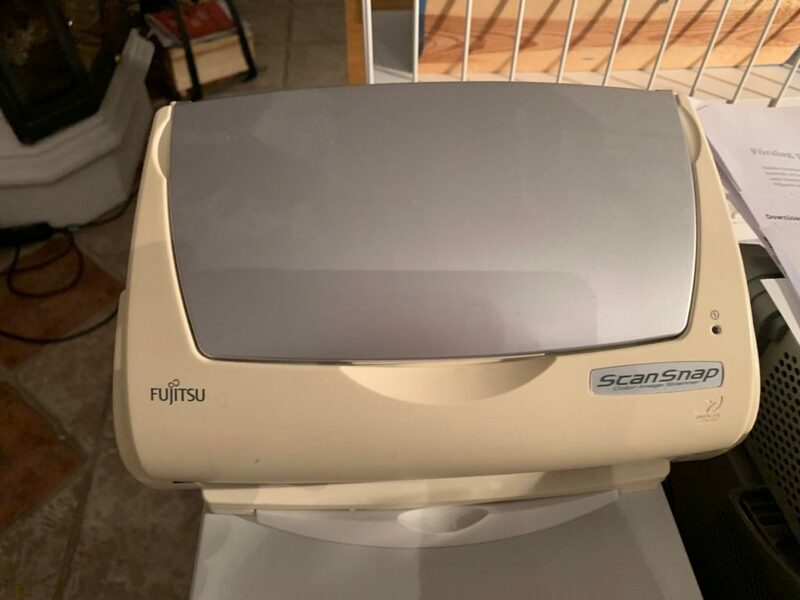 I could keep using the scanner longer if I refrained from updating MacOS for a while, but what scared me into getting a new scanner “already” is that the ScanSnap scanner everyone loves, the Fujitsu iX500, seems to be in the process of being replaced with the ScanSnap scanner most people seem to dislike, the Fujitsu iX1500. The iX500 isn’t even available in Sweden anymore, but you can still get it on Amazon.co.uk, so that’s where I ordered one. It’s a bit sad to see the old 5110EOXM go, simply because its software lacks half the necessary bits. It did have a good run, though. I don’t think it was quite that yellow back in 2006. Ik had dat al gezien, maar mijn ScanSnap is nog veel ouder en niet op de lijst van gesupporteerde. De mijne is een 5110.